Blue Cross and Blue Shield of North Carolina is among the more forward-thinking players in the field today. The health insurance company has already been honored by Harvard Medical School researchers for its efforts toward tackling the epidemic of obesity, and it continues to push for change through initiatives such as ePrescribe. John Fong: Innovation is an important component within health care. However, to be successful, it has to be coupled with value to the customer. That's why we like to think of it as value innovation. This type of innovation creates new markets and retains existing customers. Value innovation is the result of our ability to leverage customer feedback, business intelligence and analytics to create solutions for health care problems. John Fong: Combating unhealthy lifestyles among our customers is one of our greatest challenges, and BCBSNC is actively working with our customers to encourage them to take more personal responsibility in resolving their health issues. Through our work, we were surprised by the limited resources that are available to support changing unhealthy lifestyles. Understanding the adverse clinical and economical impact unhealthy lifestyles have on our customers, we took a major step to address the obesity epidemic in 2005 by becoming the first health plan in the nation to offer free nutritional counseling for obesity through our Member Health Partnerships program. We also cover physician office visits for the assessment and treatment of obesity for our customers. John Fong: In addition to the nutritional counseling we offer as part of Member Health Partnerships, we've been a leader in developing pharmacy programs to support chronic condition management. For example, in 2008, we launched the Medication Dedication program to allow individuals with four chronic conditions – diabetes, high blood pressure, high cholesterol, and congestive heart failure – to obtain generic medications for these conditions without a pharmacy co-payment. Also, we issue reminders to customers on the importance of adhering to the medication therapy. Another innovative program we've developed is ePrescribe, which provides free electronic prescribing to BCBSNC network physicians through the ePrescribe portal on our Web site. We offered a one-time incentive of $1,000 to physicians who accessed electronic medical records and used electronic prescribing for a certain number of patients. The most exciting thing to me with each of these initiatives is that we're demonstrating leadership in providing information to both providers and customers while we address financial barriers that may interfere with improving the health of our customers. John Fong: We have a history of offering innovative programs, even when the proof-of-concept or return on investment isn't apparent. When ROI isn't immediate or isn't known, innovation can be stifled. John Fong: It's important from the very beginning to have a solid project plan that defines the scope and objectives of the project, identifies all the appropriate stakeholders on the project team, and tracks communication between the project team and business owners. Ensuring the project plan has these elements minimizes the inherent risks within a project. John Fong: I believe the success in implementing an innovative program does not rely solely on the methodology, theory, and training. If these things are coupled with individuals who demonstrate strong communication, negotiation, leadership and accountability skills, a project team will develop a program that adds value to the business. AB: Do your innovations come from inside the company, from consultants or outside sources, or a combination of the two? How do outside consultants integrate and work with your in-house teams? John Fong: BCBSNC relies largely on the talent within our organization for innovative development. We also work with outside consultants to bridge skill and knowledge gaps in order to successfully complete projects. We've found that consultants are good barometers for the marketplace. 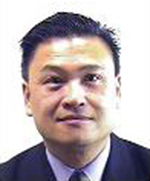 John Fong: I recommend staying informed on what thought leaders and key stakeholders in health care are writing. Right now, a good place to start is by following information from the new Obama administration. In particular, the book Critical: What We Can Do About the Health-Care Crisis by Tom Daschle, the new Health and Human Services secretary, is a great start. John Fong: Value innovation allows BCBSNC to differentiate itself in the marketplace and return value to its current and future customers in terms of improved health and better service at competitive prices.